Black Ops 4's Title Update 1.10 brings Operation Absolute Zero to Xbox One and PC along with a selection of other fixes. Call of Duty: Black Ops 4 fans get a hefty new content update in the form of Title Update 1.10, which is now live in-game. 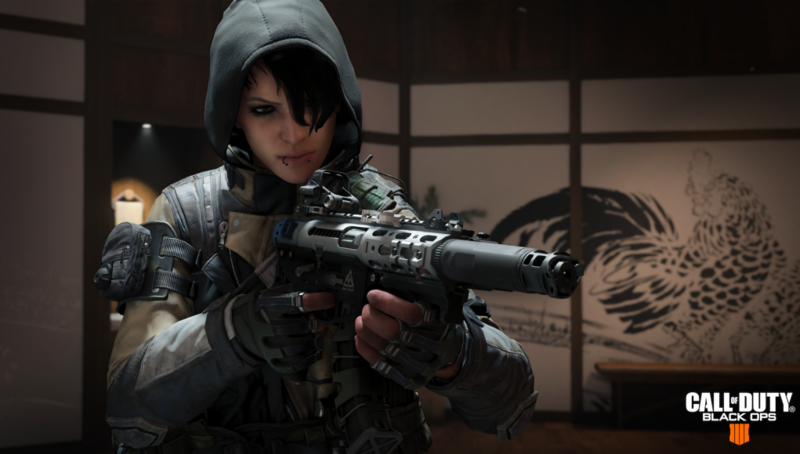 The Call of Duty: Black Ops 4 patch brings Operation Absolute Zero to Xbox One and PC to kick things off, which now means all players have access to a new season of content, including the new Specialist Zero, who comes toting the EMP Disruptor grenade and Ice Pick hacking tool. Additionally, they'll get Hijacked, the new ARAV armored vehicle in Blackout, and new IX Zombies missions to play in the battle royale mode, along with 100 new tiers of earnable loot. Black Ops Pass holders on Xbox One and PC get two new Multiplayer maps as well, in the form of Elevation and Madagascar. There's also a fun new Zombies map: Dead of the Night, which stars Kiefer Sutherland, Helena Bonham Carter, Brian Blessed, and Charles Dance. Finally, Black Ops 3's Reaper joins Blackout. For everyone who's already had Operation Absolute Zero, the patch introduces the first balancing pass for Specialist Pro, which increases the time it takes to earn her Ice Pick, increases to the time it takes her to hack Scorestreaks, and a selection of other tweaks to make using her a bit fairer. Further, Blackout will now allow Custom Games, where players can start private matches up to explore the map at their own pace and leisure while practicing Blackout maneuvers with their friends. Custom Games will start out supporting a max player count of 12, which is planned to grow over time. It will support private matches in Solos, Duos, and Quads and full character customization. Audio improvements, Specialist unlocks and outfit awards, contraband stashes, weapon camos and armor tuning, and a wide berth of other changes have been made with this update, all of which you can read about in the official Reddit post in the Call of Duty: Black Ops 4 subreddit. Sweeeet eager to get back in after vacation ! Why do these links never open that actual article, instead opening a page with all news articles? AITOO? Is it a Shackbrowse thing? Works on my end. Shackbrowse to Chrome. Typo "patch introduces the first balancing pass for Specialist Pro" - It should read "Specialist Zero"
Additionally, the big news for todays patch (most of the other stuff happened several days ago on PC / Xbox and a week ago on ps4) is the addition of Weapon Camo's to Blackout (though that comes with it's own set of drama as it only includes Black Market Camo's and not camo unlocks from MP like Gold, Diamond, and Dark Matter). The change that has most people the most excited is actually the "armor tuning" which is dramatically reducing the power of armor after the huge buff it got wit the armor repair patch.